Frequently there are questions about, how to manually install a font, what very often means “Type1 font”. So I thought, we should write a general answer about the several aspects to regard. 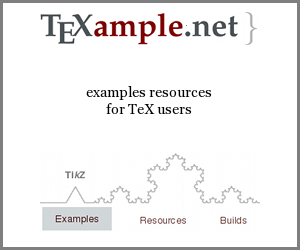 How to manually install fonts and their associated support files in TeX distributions? Before you start make sure, that there is really no possibility for an installation with the package manager of your TeX distribution. For TeX Live see also the script getnonfreefonts (here on TeX.SX user dcmt wrote a nice answer as well) and this question and answer: Error in TeX Live – Font ... not loadable: Metric (TFM) file not found . In wide parts already described in short in TeX Users Group: Installing TeX fonts. You have to install the font files into a local texmf tree. For MiKTeX you perhaps have to create such a local texmf tree. In TeX Live you somewhere have already a directory texmf-local for a system-wide local installation (system variable TEXMFLOCAL), but you can also create a user specific path (TEXMFHOME). To find out the actual paths or whether they already exist you can input kpsewhich --var-value=TEXMFLOCAL or with TEXMFHOME respectively. Installing of fonts in TEXMFHOME is not recommended, because afterwards you must do a manual update every time any Type1 font (see below) related stuff is updated! See Why shouldn't I use getnonfreefonts to install additional fonts? Why shouldn't I use updmap when installing or removing fonts? for all the gory details (and what to do if you read this warning too late). If the font package comes in a packed file, you can in most cases safely extract with subdirectories into this local texmf tree, but you should control this before doing so by comparing with the following tree structure. For instance perhaps all needed subdirectories are packed under a needless texmf directory. Note: Sometimes map files are twice included there. In recent TeX distributions you only need the ones, which are found as mentioned below in <local-texmf>/fonts/map/<engine-name>/..., not these in <local-texmf>/<engine-name>/... – mostly <engine-name> is dvips, but sometimes also pdftex, and rarely just another one. In the main texmf fonts tree(s) instead of <font-package-name> actually in almost all directories comes an additional <font-vendor> or public in between. Using the GUI: In the Start Menu go to the MiKTeX entry and open the settings – if you act as admin respectively “Settings (Admin)”, of course. The “MiKTeX Options” window will open. Go to the “General” tab and click there on “Refresh FNDB” (FNDB = File Name Data Base). Using the CLI (command prompt): Execute initexmf --update-fndb (or shorter initexmf -u, as admin add the switch --admin). Linux and MacOSX: sudo mktexlsr (or, perhaps better to remember, with alias [symlink to mktexlsr]: sudo texhash. For MetaFont files (*.mf) this is enough. For Open-/TrueType font files (*.otf/*.ttf, the directory names are misleading here, as the file extension does not say anything about OpenType abilities) you should additionally run fc-cache (MiKTeX and TeX Live Windows) or sudo fc-cache (TeX Live Linux and MacOSX) on the command prompt, but then you are ready as well. Nothing more needed for these fonts. But note, that as long as you do not work with a portable TeX distribution it is quite probably better to install Open- or TrueType fonts into the system wide font directory since this is anyway searched and the fonts are added to the font cache with fc-cache. MiKTeX portable users read also External font with portable MiKTeX, Version 2.9, please. On command prompt (here no GUI possible) execute initexmf --edit-config-file=updmap.cfg (or initexmf --edit-config-file updmap). This will open your default text editor with the file updmap.cfg in your user profile under %AppData%\MiKTeX\<version>\miktex\config\. If it did not exist yet, it will be created. If you add the switch --admin, the file will be created/opened in %AllUsersProfile%\MiKTeX\<version>\miktex\config\ (since Windows Vista) or %AllUsersProfile%\<Application Data>\MiKTeX\<version>\miktex\config\ (until Windows XP, the string <Application Data> is language dependent) and will be valid for all users without an own file name data base. Add there at least the following (line with # is a comment, we assume here, the Map file has the name fontname.map). Save and exit. If there is more to do, this should to be read in a readme file. For information you could also open the online help page updmap.cfg or the updmap.cfg in your main MiKTeX\miktex\config installation tree and read the comments in it (but do not edit, as every edit will be lost on a later update!). Execute initexmf -u, this updates the font name data base only for the active user (you can leave this out, if you are sure, your local updmap.cfg already existed). Execute initexmf --mkmaps (or shorter updmap). In Linux and MacOSX execute sudo updmap-sys --enable Map=fontname.map, in Windows updmap-sys --enable Map=fontname.map. Make again an update of the file name data base, see second step above. If you still have problems, you could try the approach given in this answer: Problems installing MathTime Professional 2 font on TexLive. Not the answer you're looking for? Browse other questions tagged fonts installing or ask your own question. How to install a font in texlive 2017 (mac)? How to identify and install a specific math & text font? How to create a a package that can be installed by tlmgr?